In a previous article on using HARO as part of your link building program, I wrapped up with the point that building relationships should be the real goal. This follow up article will describe the ways I’ve been trying to do that. A quick reminder: HARO — Help a Reporter Out — is a service that matches reporters and bloggers on one side with experts on the other side. 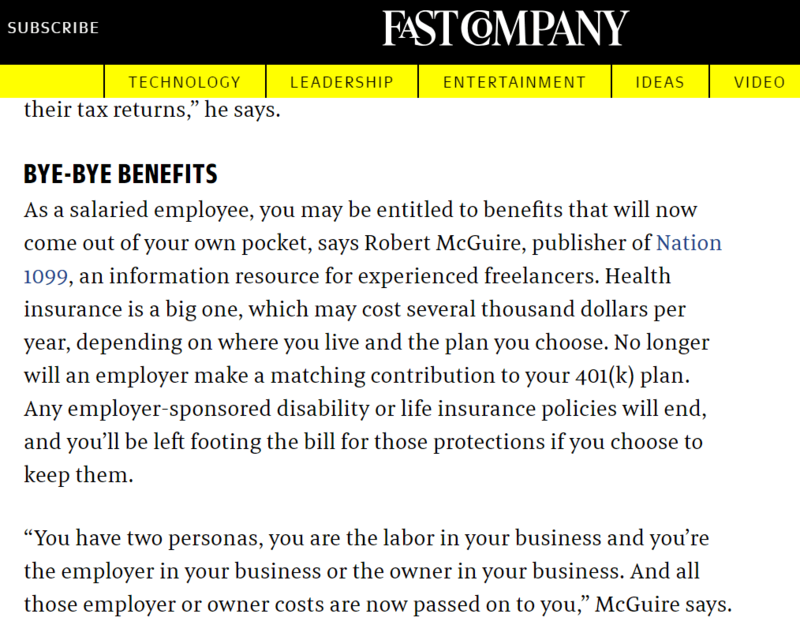 The writer gets some authoritative commentary injected into their article. The expert gets a mention and, in many cases, a link. That first article was about getting some good traction. Many people using this link building tactic start out just shouting into wilderness. But with some attention, you can begin accumulating high domain authority (DA) links. And a handful of lower DA sites. And last time I mentioned that we had another “big idea” piece in the works. It’s really important that you be able to show that you are truly a thought leader on a given subject. All of our link building success has come from the authority attached to planting one significant flag in the ground, and we were in the process of planting the second — a package of articles and a calculator for setting freelance rates. The result? The day after that package went live, I pitched it in a relevant HARO query and got this interview and link on Fast Company. DA = 91, and it’s not bad for the brand either. Best of all, I think these are all on pages with a lot of contextual relevance to what I’m promoting. The articles are speaking to my desired audience. You have a tracking sheet. You have some basic automations in place. 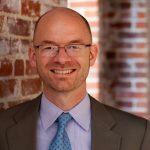 You are finding ways to optimize those automations. Now it’s time to move on to HARO user power moves. Essentially, these are all about building on relationships to start getting a flywheel effect. One of mine is to have a HARO buddy who you help get links and who may help you back. 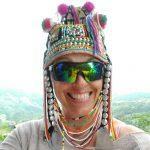 I have a few colleagues who I know are on HARO. But I also know they probably aren’t scanning it regularly like I am. So, if I see a query relevant to one of those colleagues, I forward the HARO email with a quick note — FYI, item # is a good one for you. That’s just a good way to keep those relationships warm. It’s also a good way to touch base with clients — past, present, and prospective. But beyond touching base, there’s also room for my colleagues and I to work together. For example, I’m especially alert to any query on HARO asking for a nomination for “best of” in some category. That’s when I slow down and think really hard about who I can nominate. Let’s see . . who do I know? Oh, right, Nissar Ahamed at CareerMetis. He’s been a big help to me. His podcast is great. He ought to be on that list for sure. So, I fired this off this response to the query. The result? 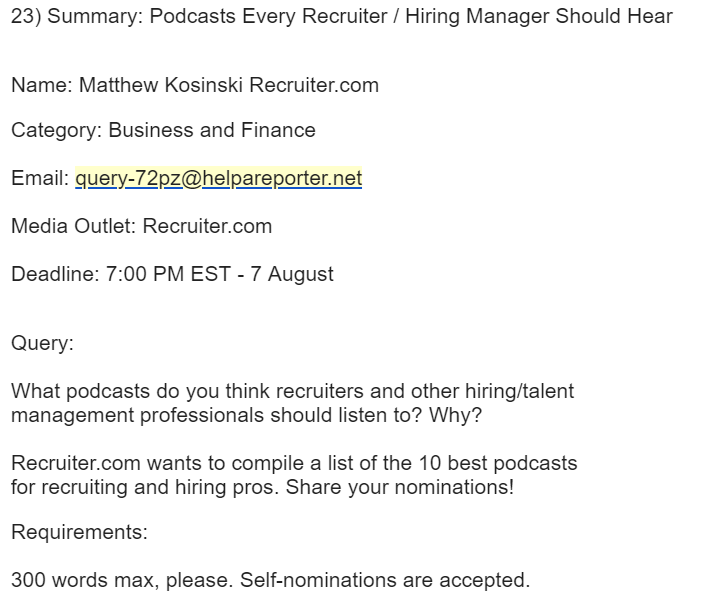 Nissar got featured prominently on Recruiter.com (DA = 61) on a post that’s getting a lot of social shares. It was a total surprise for Nissar. I didn’t let him know until it was done as I didn’t get his hopes up. He was able to push this mention to his large Facebook following, driving even more engagement. That’s great for Nissar. I don’t get any link there, but I’m glad to help. Let’s see. Does that sound like anyone we know? As I explained in part one, my HARO campaign is all about growing Nation1099, which is a site about building a freelance career. 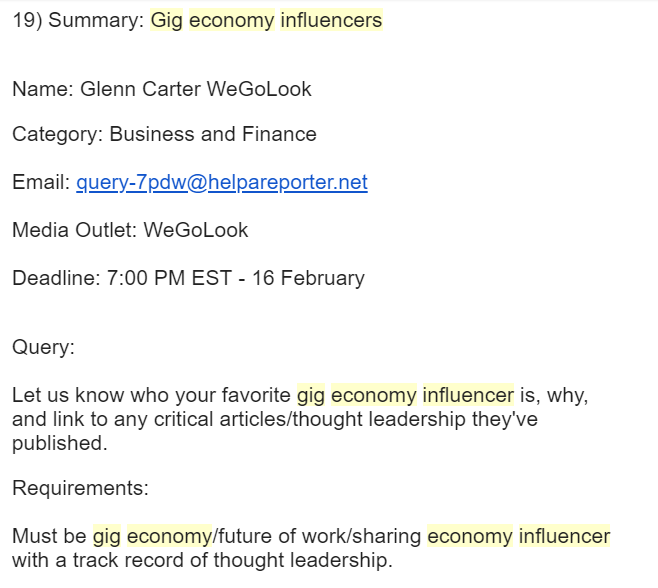 And because I’ve been using the thought leadership marketing tactics I outlined earlier on LongTailPro, I do in fact have a lot of articles out there about the gig economy that aren’t just content spam but are built to impress. I fired off an email to Nissar asking him to nominate me, making sure he had all those articles handy. And the result? Now I’m on this list and have another link. It’s only DA = 46, but it’s over performing on social media. Everyone else on that list is sharing it like crazy. That is helping my direct traffic. And it’s the first step toward being included on all the influencer lists yet to be written. A couple of my HARO power user moves are still in the experimental stages, and I’m waiting to see the results. One stems from annoyance about all the excellent replies to HARO queries that I write but that never get used. Is there a way to upcycle them? In fact, a few thought-provoking paragraphs on one of those channels might make you stand out, since a lot of them have just turned into places where marketers push links to their content spam. As a result, I’m experimenting with posting fewer links and more ideas on those forums. Upcycling my HARO activity is a great way to do that. The original query can be the headline, and my answer is the content. That way I get some value out of the HARO responses that don’t get picked up. A tracking sheet of some kind like I described in Part 1 on this topic can be handy here, so you can find the answers you wrote last month that never got a response. Another method is to search in:sent haro in Gmail and to look for emails from yourself and those with no replies. Mine those messages for content to upcycle. I’ve been following up on positive responses to develop guest post opportunities, and this has definitely been effective. 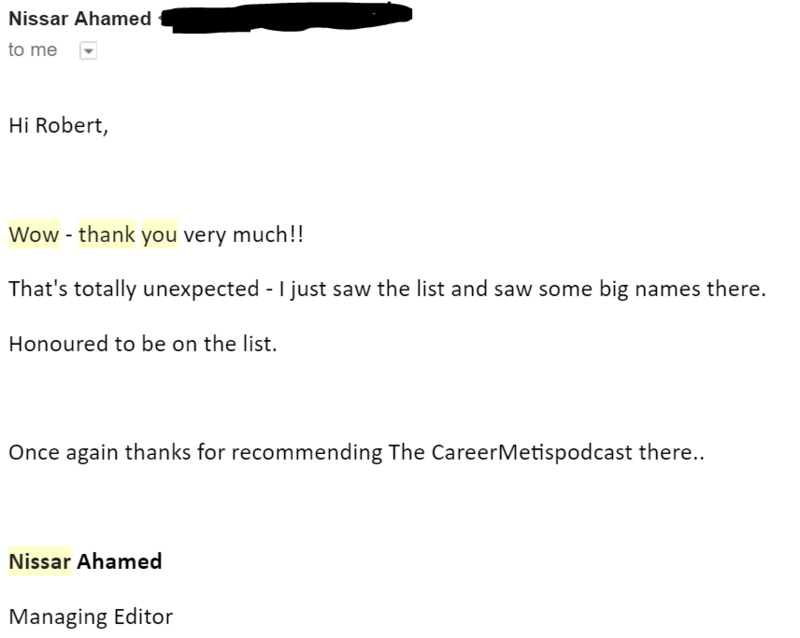 Remember how my reply to Recruiter.com got CareerMetis mentioned there? The editor on that content team thanked me for my response, so I followed up with an offer to guest post. And looky here. DA = 61 for me! When a blogger uses your response to their HARO query, they usually send you a note to let you know. Now you have the name, title, and email address of a blogger who is creating content in your topic. And you have a basis for reaching out again. In other words, you have something potentially a lot more valuable than a link. You have a relationship. When a blogger answers my response on HARO to let me know they are going to use it, I thank them and tell them they shouldn’t hesitate to reach out to me for a quote the next time they are working on an article in this topic. Nothing. Because I have no PR game. We’ve reached the limit of my HARO power user moves. That last tip is a good reminder for me in particular. If I’m serious about doing thought leadership marketing, then I should be alert to upcoming trends in my industry and be in a position to tip a blogger or reporter to a story they should be following. No matter what, it’s important to remember that you never know which relationships are going to lead to good things later. The entry-level blogger at a struggling startup today might be a contributing editor at The Harvard Business Review next year. Don’t forget to be as aggressive promoting your mentions as you are promoting your own posts. Every time you get a link via HARO, share, share, share on social. Most of these blog articles, even on high DA sites, don’t get a high page authority because they don’t get much circulation. Making sure these articles are in your social feeds can help with that. Sharing the articles you appear in is also an easy way to mix things up on your social feeds so they don’t just look like long lists of links promoting your own site. And don’t forget to @ the blogger and the publication when you do share an article on your social profiles so they can retweet or share them. For example, don’t forget to @ me and LTP (and Michelle) when you share this so that we can help boost that. 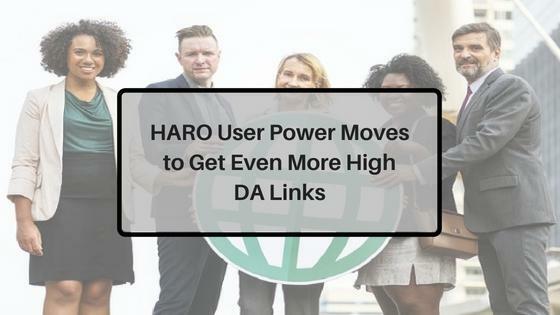 I hope these HARO power user moves help you find success building links and building valuable PR mentions. Let me know your ideas in the comments. 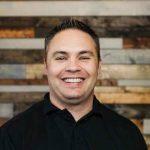 Robert McGuire runs a content marketing agency and is the publisher of Nation1099, a site devoted to operations and strategy advice for freelancers and consultants. HARO is a great publicity resource, for sure. But have you seen RadioGuestList.com? It’s even more targeted because it specifically helps people get free publicity interviews on radio shows and podcasts. Most shows publish show notes and heavily promote their interview guests these days, so it’s a great way to get SEO backlinks, too. Great guide to publicity SEO above but thought that might be helpful, too!